Bat Guano - Will It Make You Sick? We are confident that you will find us to be easy to work with, very professional and affordable! 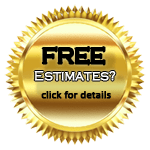 We have over two decades of experience performing bat exclusions and we consider ourselves the best and most reliable in the bat exclusion industry offering a full guarantee to solve your bat problems. We will solve your bat problem, by offering affordable solutions to your bat problems. 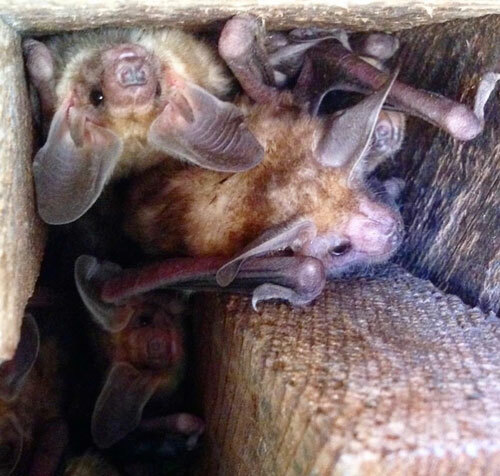 Don’t wait any longer to remove bats from your attic, home or business. Why Use Western Bat Specialists? Experts in our field! Selected for National Geographic Animal Planet Special about bats! Two decades of expertise dealing with bat colonies. Thousands of Satisfied Customers: commercial & residential. 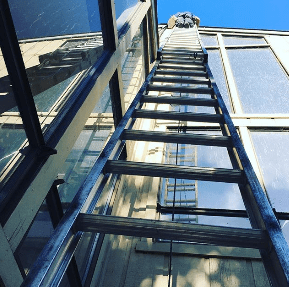 We have successfully bat proofed: restaurants, hotels, hospitals, warehouses, homes, bridges, power plants, production plants, county and state government buildings and institutions. All exclusions are fully guaranteed! We offer installation of Bat Houses! Do You Have Damages to Your Home Caused by Bat Guano and Urine? 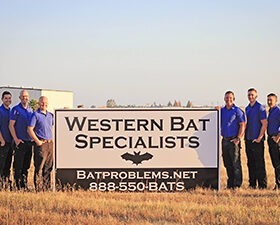 At Western Bat Specialists we know that bat exclusion / removal is something that most people have not figured into their budget! Because of that, we would like to make your bat problems as easy to remedy as possible. We have been known for years to be one of the most reasonably priced bat professionals around, and many times are told we were the best price quote that someone received. Credit Card or Payment Arrangements without Interest! Contact Us today! We can evaluate your situation, give advice, complete an inspection of your home or property and get you on the calendar to have a bat exclusion completed. We guarantee our work! We specialize in bat removal and have been successfully bat proofing for over 25 years! Our work is seasonal due to guidelines. Bats have two protected seasons, Maternity and Hibernation. Don’t delay! Call now to make an appointment, and we will make sure you are on the schedule to have your home bat-proofed during the proper time of year. Our company watches carefully the bat activity in CA, as we care for bats. Why? They are vital to our Ecosystem and are beautiful mammals. Bats have protections and guidelines both within the state of California & the Federal Government (Some bats are federally protected). We work closely with conservationist groups and we monitor changes within bat colonies and statuses of endangered / bats of concern. We follow fish and game’s guidelines and regulations. Please don’t harm bats.